The lobster croquettes are amazingly delicious! The croquettes are super crispy on the exterior, gooey in in the inside with a generous piece of lobster meat in the center. 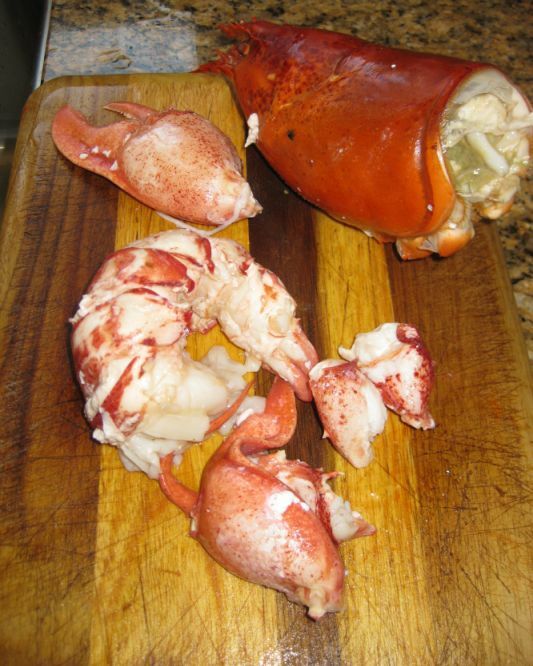 I cooked a whole lobster for this dish but you can use frozen or pre-cooked lobster meat, and if you cannot find any lobster meat feel free to replace it with crabmeat or shrimps. The croquettes are coated with panko (Japanese breadcrumbs) and yield a super crisp crust without absorbing too much oil vs. the regular breadcrumbs. 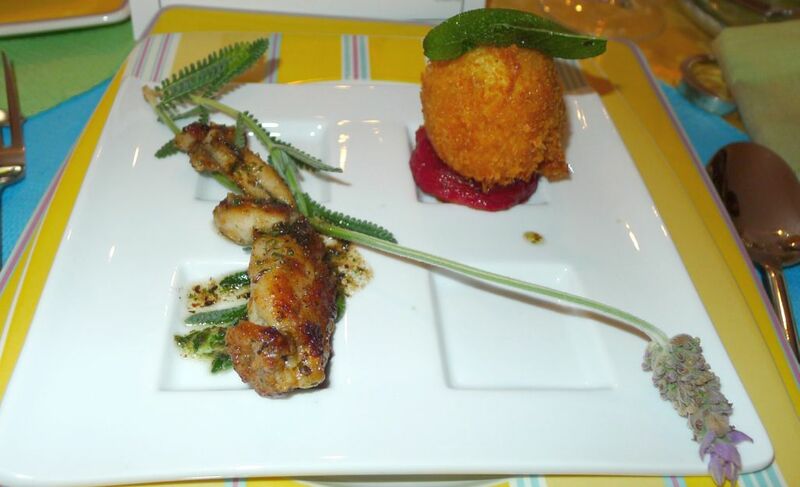 I served croquettes with tomato confit and a crisp fried sage leave. 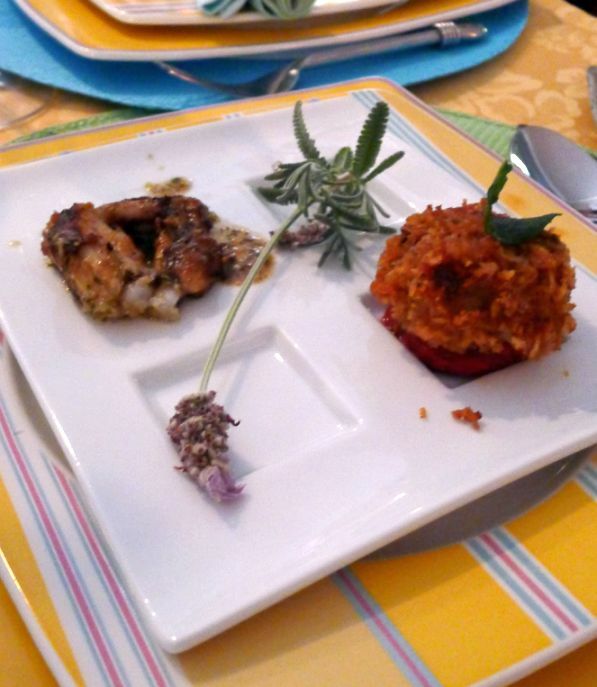 The theme of my dinner party is French Bistro food so I served the croquettes with Frog's legs à la provençale and decorated the dish with a sprig of lavender which represent Provence. The tomato confit underneath the lobster croquette is cooked slowly in the oven for about 6 hours so all the flavors are concentrated and busting out when you take a bite. The frog's legs are sautéed in a garlic/parsley brown butter and you soak all the sauce with a big piece of bread... YUMMY! 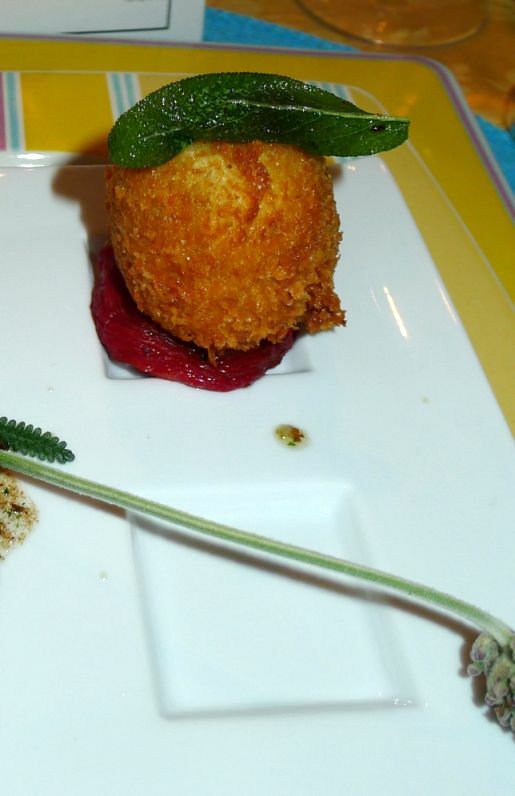 Close look at the croquette. Bring a large pot of water to boil. 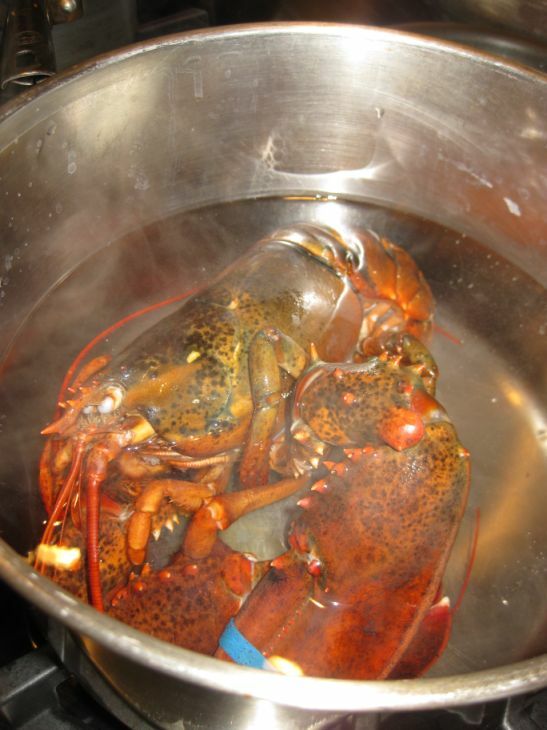 Place the lobster in the pot and cook for 8 minutes. 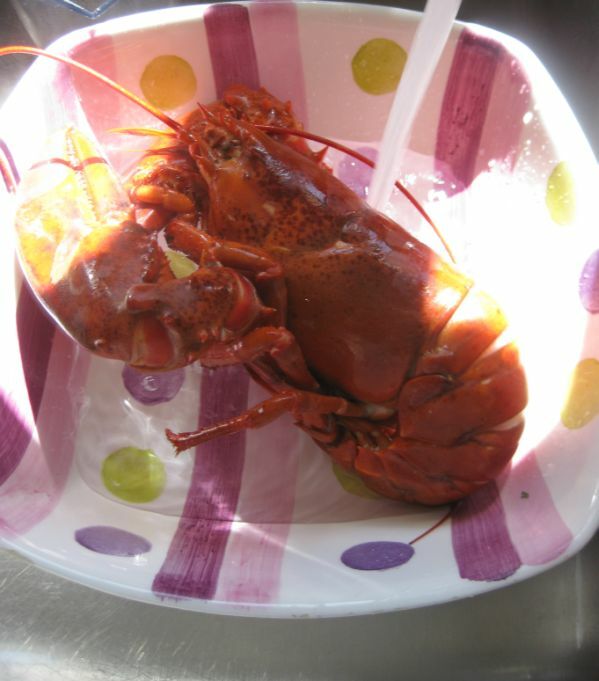 Remove the lobster from the pot and put lobster in a cold bath. Change the water a few time so it say cold. You can also add ice in the bowl. 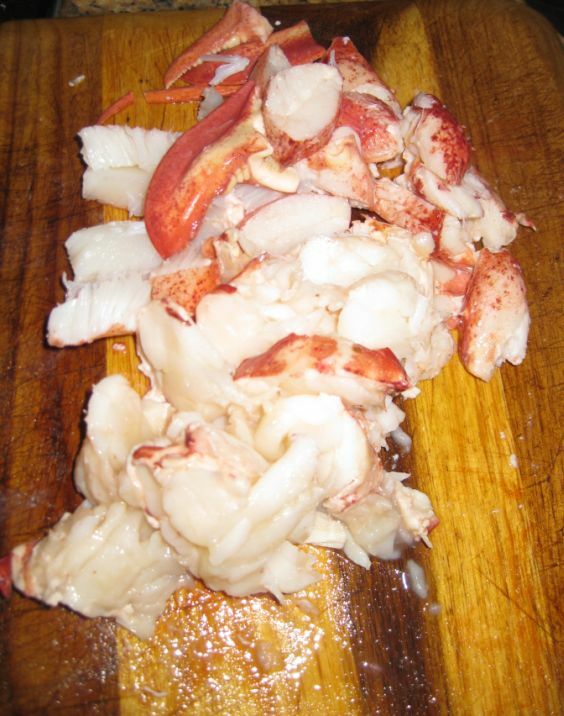 Remove the meat from the tail and claws..
chop the meat into small piece. 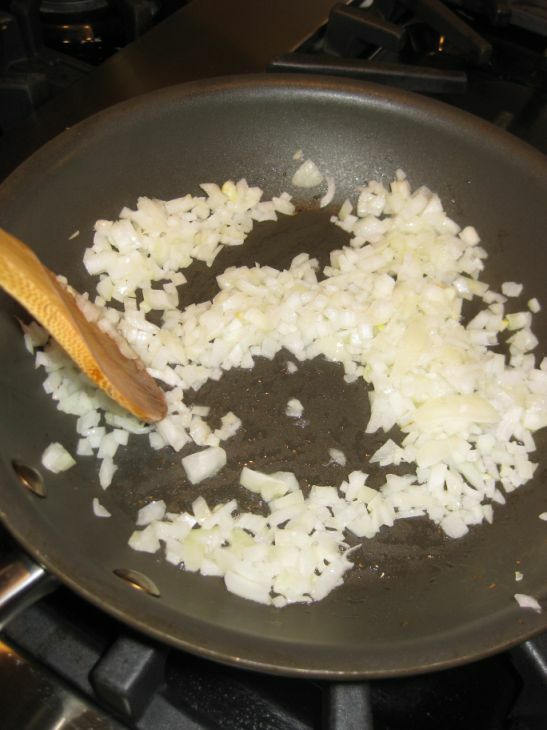 Place the meat in a bowl, cover, and refrigerate..
Sautéed the chop onion and set aside. 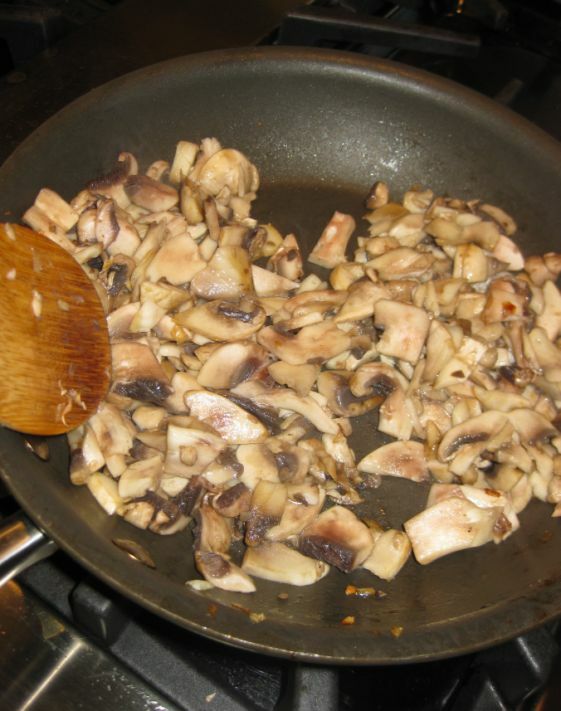 Sautéed the mushrooms and pour them on top of the Sautéed onion. 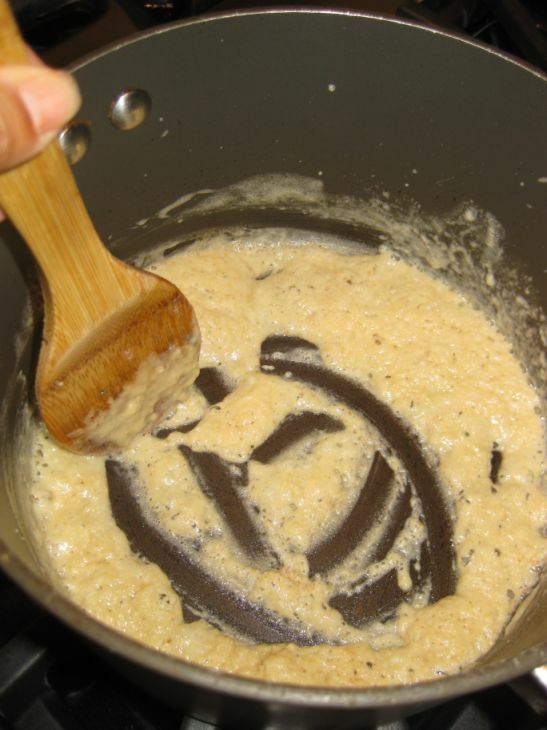 To make the sauce, melt the butter in a small saucepan over medium heat. 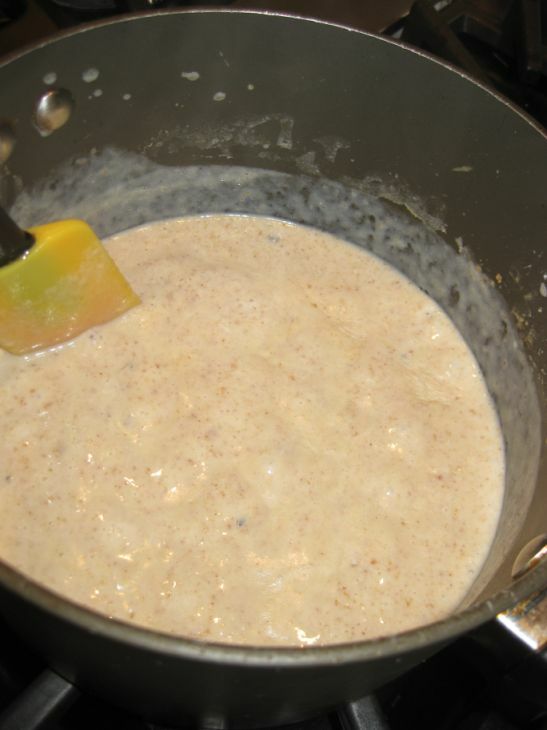 Add the flour and stir for 6 to 8 minutes or until the mixture turns a light brown. Turn the heat on high and bring to a boil. Keep stirring. 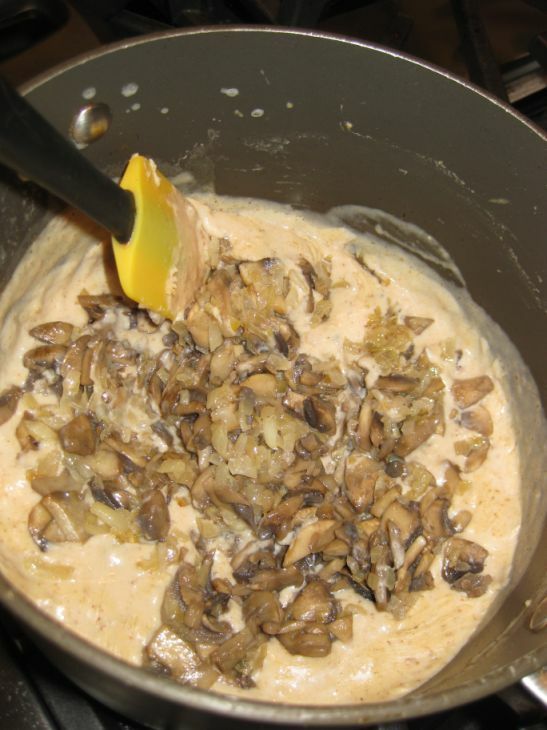 Turn off the heat and add the mushrooms and onion and mix well. 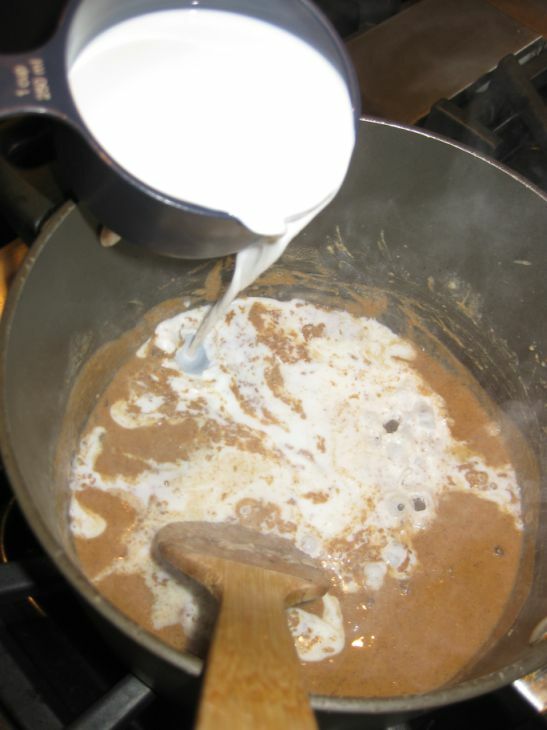 Pour the mixture into a flat pan or baking sheet. 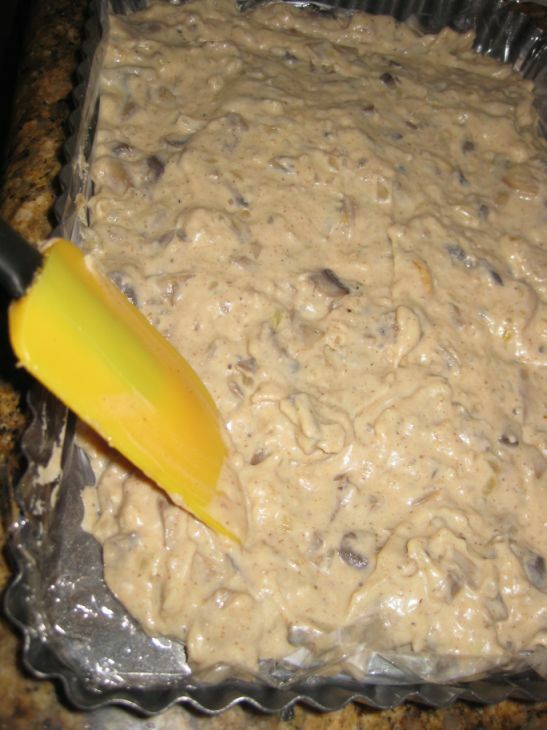 ..Spread the mixture in an even layer on top of the baking sheet and let it cool for 10 minutes. 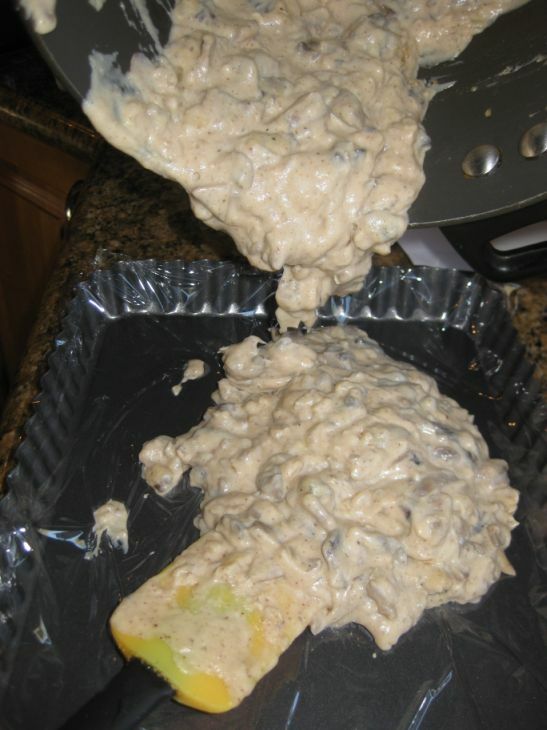 Plate the pan in the freezer for 15 to 20 minutes sot that it solidifies and becomes more workable. Remove the baking sheet from the freezer. 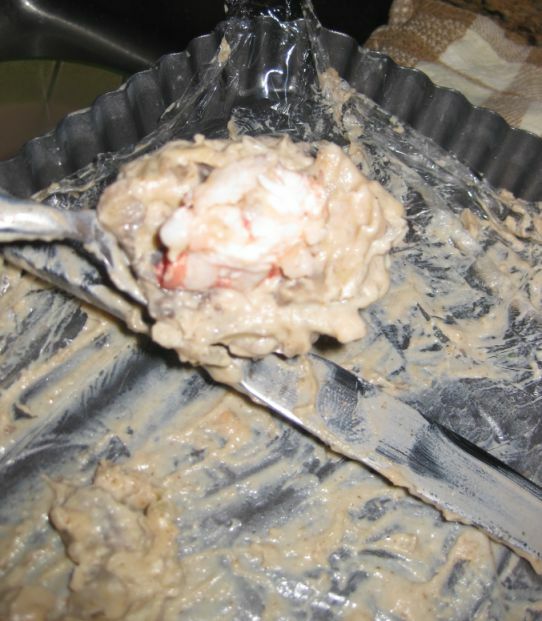 Using your fingers or two spoons, take a small portion of the lobster mixture and roll it into small ball. Put the balls on a plate. Place the flour, egg, and panko in a separate shallow containers. 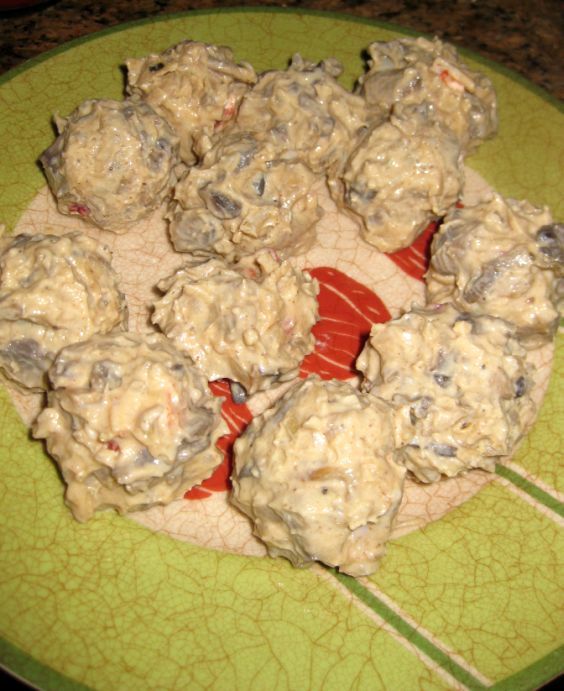 Roll the lobster balls in the flour, then in the eggs, and then in the bread crumbs. 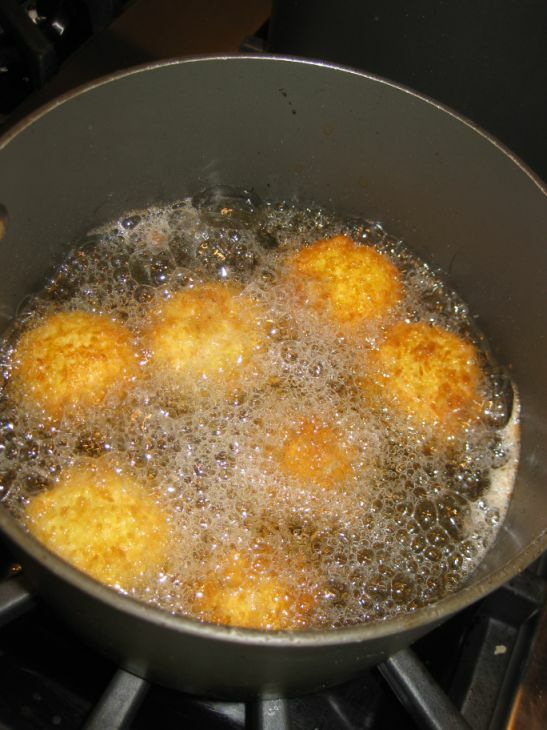 Heat the oil and deep fry the lobster balls. Do not crowd the pan and maintain the oil at the same temperature. 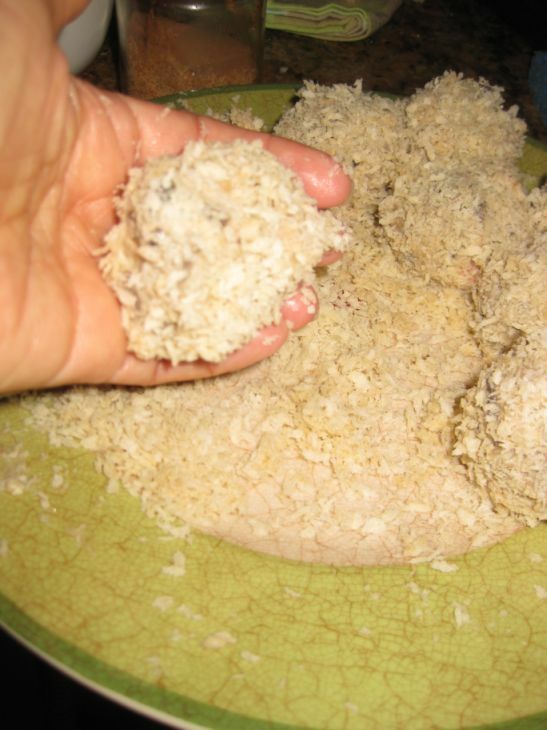 Remove the croquettes from the oil and place them on a plate lined with paper towels to drain. 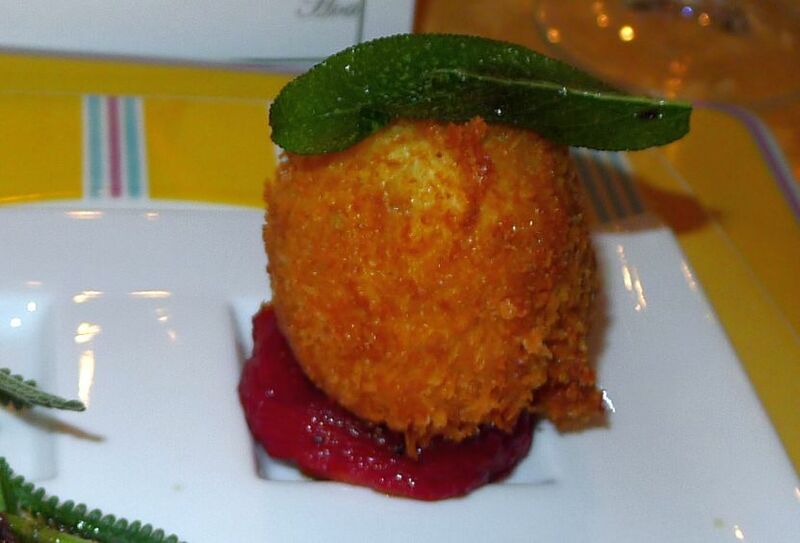 When ready to serve place a tomato confit on a plate then put the croquette on top and add a fried sage leaf on top. To simplify this dish you can omit the tomato confit and the fried sage.